1st Year Sewing Anniversary! ~ Diane's Vintage Zest! So, exactly one year ago today is the day that I started sewing. I didn't know the first thing about sewing, and I definitely didn't think I would be starting a blog and have an online sewing group to boot! Anyways, here's a conversation I had a couple months ago, which inspired the post I'm writing today. My Guy (MG): "Hey, can you hem these pants for me?" Me/Diane (D): "Sure, but you could probably learn how to do it yourself too, if you don't want to wait." MG: "It would definitely be too hard for to me learn." D: "But it's just like driving a car!" MG: "What? Of course it's not!" D: "Actually, a sewing machine is just like a car." MG: "Oh really? Prove it." Just so you know, I don't claim to be an expert on sewing machines, but I can squeeze more out of analogy than most people can! First of all, sewing machine and car mechanisms have a few items in common. Most importantly, the foot pedal! For both, you push it down more to make it go faster, and release to slow down. Beginners tend to go slower and are a little jumpier with accelerating speed, but pros know how to work at a fast, even pace. You also need to make your car reverse, when getting in and out of parking spaces. 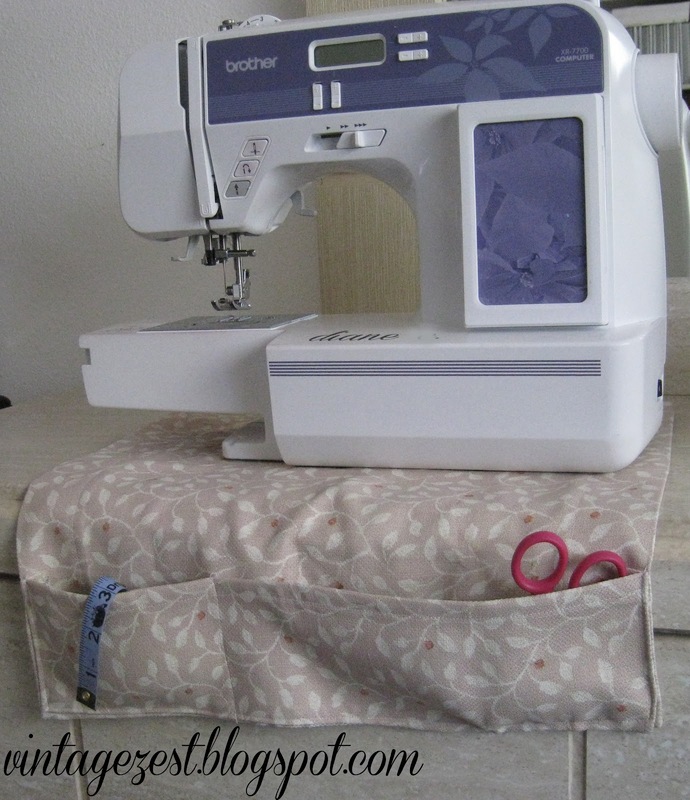 It is also very important to use your machine's reverse function at the beginning and end of your sewing work. Definitely necessary in both! Speaking of turns, you use your hands to control the direction that you travel, with a steering wheel in a car and by manipulating your work in sewing. As for the machines themselves, most people have pretty basic machines that have the basic functions. Others have a ton of bells and whistles. Some cars are technologically advanced with GPS, computer-controlled radio, etc., while sewing machines also can also have screens and other digital capabilities. One thing that I've noticed is that some people swear by certain car companies, just like sewists do! There are people who stand by foreign companies, and are willing to pay top dollar for their vehicles. The EXACT same thing can be said about sewing machines! Old models are almost always clunky and unwieldy but just look so darn cute. Sewing machines too! Who doesn't look at an old Singer table model and want one for themselves? And lastly, while there is definitely more luxury involved with today's models, people almost always remark, "They just don't build them like they used to." The way that people treat their cars is just like the way people treat their sewing machines! Most people view their cars as a way to get them from Point A to Point B, not paying much attention to too many bells and whistles. The basic model will do. Casual sewists are the same way, buying whichever basic model is the best deal at the time. However, real car enthusiasts collect cars of different models, years, styles, and functions, while dedicated sewists collect sewing machines in the same way. I'm sure some of you are guilty of this! They treat them well, learn how to perform DIY maintenance, and make sure they're serviced regularly. Same for sewists? Check! In instances when an engine isn't running well, they can hear it right off the bat. I can hear when there's something off when my machine, because I work with it so often. Cars are given special areas of the home (garages), just like people who have dedicated sewing spaces. And for those of us who don't have a sewing room, we all wish we did! Just like cars are covered when not in use to make sure they stay pristine, we do the same thing with our machines! So as I write this "Ode to a Sewing Machine," I can't help but miss my own while I'm overseas. I can't use it for another few days, but until then, happy anniversary to me!